Hesder yeshiva head supports Shin Bet Jewish Section activity but concerned all delinquent activity by hilltop youth is defined as terror. Har Etzion hesder yeshiva head Rabbi Yaakov Medan supports the activity of the Shin Bet Jewish Section but is not convinced that all unlawful activity by hilltop youth should be investigated by the General Security Service. 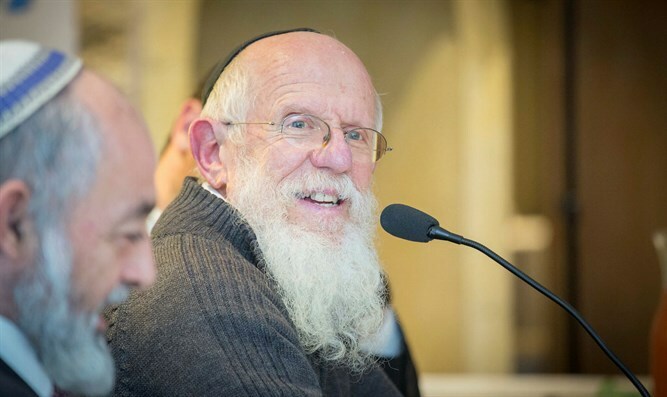 "I want to strengthen the security forces guarding our country and the 'cities of our G-d.' The Shin Bet works day and night to protect us from enemies, and I also strengthen the Jewish Section that prevents young people who are there from doing wrong things and mistakes that will put them in jail for many years,," said Rabbi Medan. "I want to condemn and say that it's absolutely forbidden to harm Arab property, or Heaven forbid cause bodily harm to Arabs, and that this endangers the security of all of us, interferes with the security forces, and we're not allowed to do such things and we roundly condemn them." However, Rabbi Medan emphasizes that "when you give great power to any body, it may use it wrongly. You can sense that this is what happened in recent days. The courts claimed that interrogations were carried out against these boys illegally, frightening young boys and tormenting them when there was no clear evidence against them and doing things to them that will scar them for life." "The government must guard the guards," says Rabbi Medan. "The GSS must prevent any action being taken against Arabs, but do so within the framework of the law. We and the Shin Bet must act according to the law." "There are those among the detainees who did something but there are also those who didn't do anything yet suffered severe torture that could scar them all their lives," Rabbi Medan warned. "Law abiding people have to stand up against this. We'll all stand up against this issue and condemn any action against Arabs that isn't according to the law, but we demand from the Prime Minister - you cannot define everything as terror to block the law from acting to control the interrogators." "Many Jewish synagogues have been torched and they weren't defined as acts of terror and were barely investigated, and here all property damage is defined as a lawless act of terror, allowing harm to be done to young people for the rest of their lives. We call on the Prime Minister to put a stop to this and guard the guards," ended the Har Etzion Yeshiva head.